Telugu Brahmin Matrimony registration is free for Telugu Brahmin Brides and Telugu Brahmin Grooms of Andhra Pradesh, Telangana, Tamilnadu, other Indian states. From December 2017 Telugu Brahmin Matrimony is affiliated to All Brahmin Matrimony which is maintained by AOS which is a registered enterprise with GST, providing this community matrimonial search service to its user. Telugu Brahmin Matrimony is updated with several new options as per the new technology which will help every user to get their matrimonial match very soon. How to register free in Telugu Brahmin Matrimony? STEP 1 Register your profile with proper details. Do not provide false information which may lead your profile to be rejected. After registration, you will get an activation email. STEP 2 Wait for 5 minutes and then check your email for an Activation mail from Telugu Brahmin Matrimony in your Inbox or sometimes in the junk box and click the activation button link. Then your account will be activated. STEP 3 Logout and Login again and you will find an Upload photo option or button. Where you shall upload your photo. STEP 4 You shall upload up to 3 photos and anyway every of your photo needs approval from Admin. It may take 24 hours to get approved. STEP 5 Once the photo is approved, after 10 minutes it will become visible in your profile and in the front page of the site. STEP 7 If you want to communicate to other members or if you want to know their Mobile and Email address you may need to upgrade account. STEP 8 You shall use PAY NOW Button or links to make payment. It will take 24 hours to get your paid membership activated. Once your profile is approved your membership will change to the paid membership. If your profile is rejected, then your amount will be redirected to the same payment gateway. STEP 9 After your upgrade your membership, you are free to contact members of Telugu Brahmin matrimony without limit within the paid membership period. Telugu Brahmin Matrimony by AOS. This matrimonial service is dedicated only to Telugu Brahmin Community who resides all over the world. Telugu Brahmin bride shall choose their Telugu Brahmin groom match by paying two types of subscriptions. One is for six months and another is for one year. 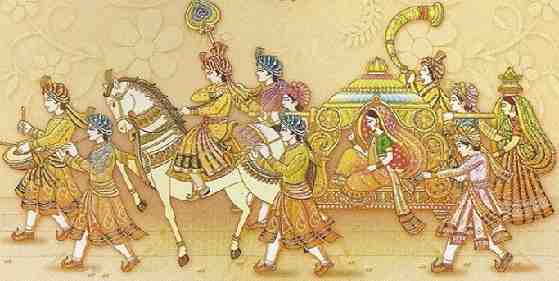 This Telugu Brahmin matrimony is little different from other matrimonial websites. Because here you are asked several questions during registrations. Those questions are on everyone mind when they search for Telugu Brahmin bride or Telugu Brahmin groom. Start to register now to find the perfect match. 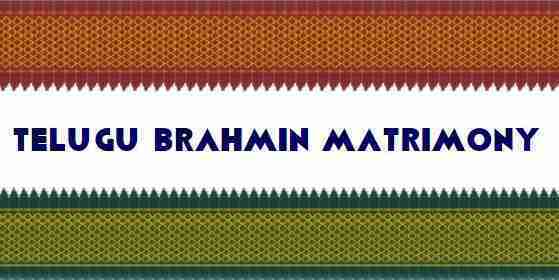 Why to Join Telugu Brahmin Matrimony? Photo uploads up to 5 photos. Talk to other members directly over the phone. When you click the payment buttons, it will direct you to our online payment store of Telugu Brahmin Matrimony, where you can pay your chosen package. You shall make the payment just by sitting in your seat even with your Android or iPhone. You have the online payments options of Netbanking, Credit Cards, Debit Cards, Wallets like OLA Money, Mobikwik, Jio Money and Apps like BHIM United UPI Pay. Once you made the payment online to Telugu Brahmin Matrimony you will get an email about the confirmation of your payment from Instamojo Payment Gateway. From the time you made the payment, your membership will be converted to a paid membership. In a very rare case, it may take 48 hours for paid membership activation. Though you made the payment online and your Telugu Brahmin Matrimony membership converted into the Paid membership, our bank account will receive the payment only after 4 working days. So once your payment reached us, we will generate the invoice as on receiving date and it will be emailed to you in pdf format where you shall take print out of the same. Payment Gateway may charge convenience charges which you may need to pay excluding the package amount. After you registered your FREE Telugu Brahmin matrimony profile, you will be free to upload your photos. All of your photos need approval by Admin. You may find the upgrade option to choose your Matrimony Package. Nobody will call you to make payments from our office. When you need, you shall pay. Even if you do not pay your profile will be visible to other paid members with your contact details, where you may get calls from such members towards alliance talks or matrimony match. If you don't want to pay through online payment buttons you shall also make your payment through Netbanking which will reach our Bank account directly without any additional transfer charges. But you may need to call our 999 48 18 463 and inform about your payment and username of Telugu Brahmin Matrimony. You shall also SMS or WhatsApp your payment details with your username. If you use net banking, login to our matrimony site and you shall find the bank details to pay and to get immediate activation of your paid membership.